There is something really refreshing about a pair of jeans that flatters our figure by showing our shapely-ness rather than pushing our tummies over our waistbands because the rise is so low. Worse yet then we're given horrible names to refer to this pronounced area as...I think you're familiar with the terms used for that. 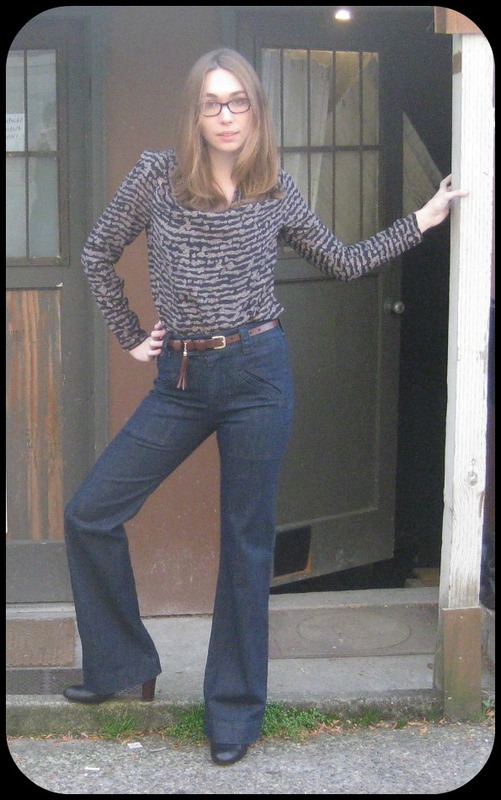 So ladies, it's time to put the word "classy" back into our denim wardrobes with these two new high rise pants that will make you look sharp and feel foxy!